Are you traveling to Southeast Asia? Check our guide on the best places to stay in Hanoi, the capital of Vietnam and an excellent starting point to explore the region. Hanoi is the capital of Vietnam and one of the most interesting cities in Southeast Asia. Its location, in the North part of the country makes of it a great start or ending point for a journey throughout Southeast Asia. Getting to Hanoi is quite easy. The Noi Bai International Airport is getting a higher number of flights and passengers and year after year. 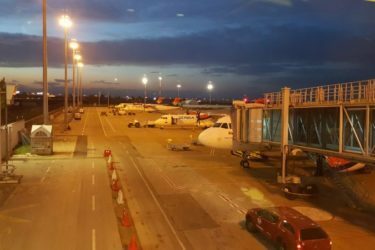 Many low cost airlines operate to this Airport with direct flights to Hong Kong, Mainland China, South Korea, Malaysia and other countries. There are many intercontinental flights connecting Hanoi to Europe, Middle East and Oceania. If you are flying to Hanoi you can find the cheapest flights on Our Flight Tickets Search. Vietnam is quickly developing, and its tourism industry is literally booming. 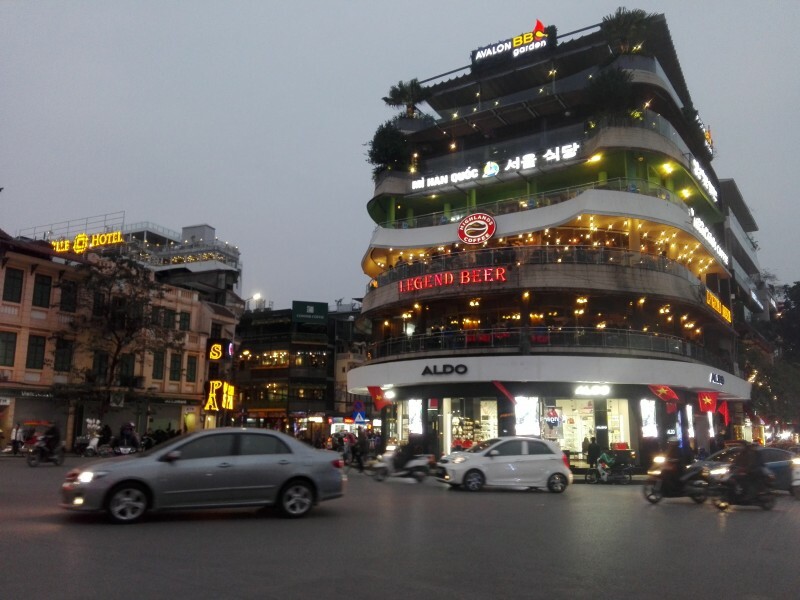 Hanoi offers a lot to its visitors for a relatively low price. Some of the highlights of Hanoi are its culture, the nightlife, shopping and the Vietnamese cuisine. Check Klook.com to book activities, get a Vietnamese sim card or an airport transfer in Hanoi. If you traveling in Vietnam or Southeast Asia by bus or train, you can also book tickets on Easybook or 12go.asia. The best areas to stay in Hanoi are actually pretty easy to understand, and they are also quite close to one another. The Hanoi Old Quarter is the most obvious choice, with the highest number of accommodation options. Any place around the Hoan Kiem lake itself is a good choice. The Old Quarter is one of the best areas to stay in Hanoi and it is easy to understand why. This area, to the North of the Hoan Kiem Lake gathers the biggest concentration of shops, restaurants, hotels and bars in the city. The area is itself rather compact and you can easy walk around it. Most of the best restaurants in the city are in this area, and you can taste amazing dishes like Bun Bo Nam Bo and Cha Ka in some of the best restaurants in Vietnam in Hanoi’s Old Quarter. 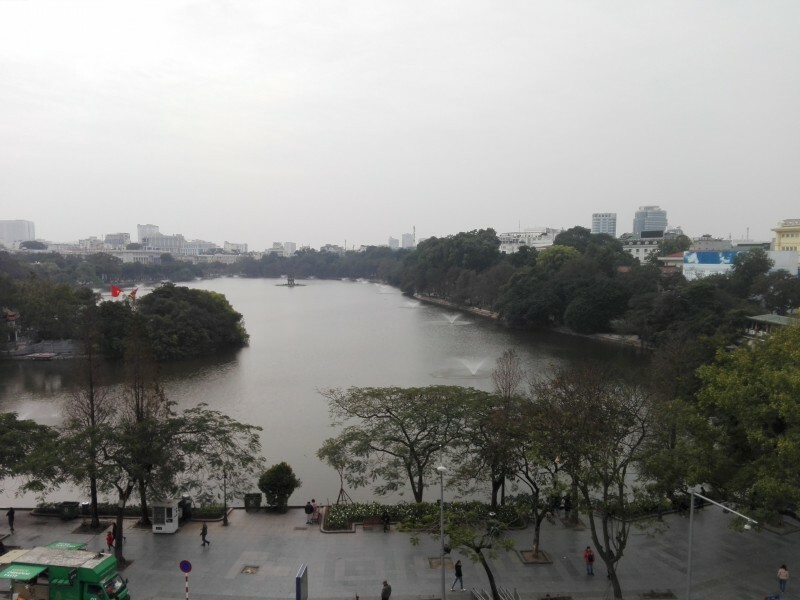 Another option is to stay around the Hoan Kiem Lake, probably the most well known attraction in the city. 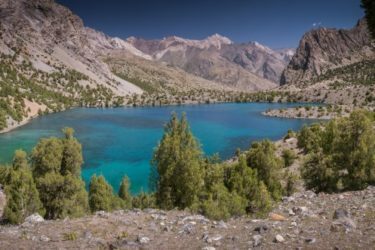 While the Old Quarter is the busiest area of the city and is to the North of the lake, any area around it will be a good choice. The lake itself is pretty small, and you can easily walk around it in less than one hour. Another option is to stay near the Hanoi Railway Station (Ga Hà Nội). This area can be a good option if you are traveling to other parts of Vietnam by train. The area itself is not very far from the Hoan Kiem Lake and the Old Quarter, and you can easily walk from and to these areas to the station. Pillow Backpacker Hostel – an quality hostel offering dorm beds in the Old Quarter of Hanoi. Apricot Hotel – an excellent hotel in the Hoan Kiem district of Hanoi. Sofitel Legend Metropole Hanoi – one of the most traditional luxurious hotels in Vietnam, close to the Hoan Kiem Lake. Hanoi and Vietnam continue to be rather affordable, despite the growing influx of foreigner tourist year after year. 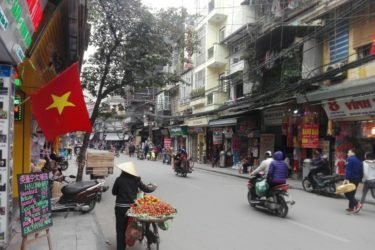 While accommodation is probably the highest cost during a stay in Hanoi, local food and transportation are quite cheap. The tourism infrastructure in Hanoi is improving rapidly, and you will find accommodation for all budgets. The prices are comparable with those from other capitals in Southeast Asia like Bangkok or Phnom Penh. If you are traveling on a budget, hostels are very affordable and the overall standards are quite good. Transport in Hanoi and Vietnam as a whole can be quite complicated not much for its price, but for its availability. Even if the transport infrastructure is improving, there are few options to get around Hanoi, and the traffic is pretty chaotic. Buses are pretty cheap, and riding apps like Uber or Grab are quite popular. Finally, eating out in Vietnam is usually inexpensive. The Vietnamese cuisine is delicious and many restaurants serving top quality local dishes are pretty inexpensive. A bowl of Pho will cost as low as 30.000 VND or about $ 1.5 dollars. There are many great meals in the range of 40.000 to 60.000 VND. Hanoi has a humid subtropical climate and the best months to visit it are from the months of October through March. During these months, from late Autumn to early spring, temperatures are milder in Hanoi, making it ideal for outdoor activities and sightseeing. Some days can be rather cold during January and February, but the temperature never seldom gets below 10 C.
The months from April to August it can be often extremely hot in Hanoi, with temperatures soaring to as high as 40 degrees Celsius. These months are also the ones with the highest rainfall, making it overall quite unpleasant to explore the city. The Tết or Vietnamese New Year is also a great option to visit Hanoi. Not only it falls in January or February, when the temperature is usually pleasant, but the city enjoys a festive atmosphere for the new year celebration. If you are traveling to Vietnam you will certainly like some of our guides. Check how to get to the Ha Long Bay from Hanoi and the best places to stay in Ho Chi Minh City.